Frascione Arte of Florence shows Madonna and Child ($900,000), recently re-attributed to the Master of the Scandicci Lamentation. Elegance and visual drama, ever the hallmarks of the European Fine Art Fair (Tefaf), greeted VIPs reliably at the opening of the third New York Fall edition on Friday, 27 October (until October 31). This year’s autumn iteration of the bi-annual event held at the Park Avenue Armory is the first since the Netherlands-based organisation brought the management of its New York fairs under its sole control, surreptitiously closing out a two-year agreement with the US-based firm Artvest. True to the DNA of the mothership in Maastricht, the majority of the 93 dealers display paintings and drawings dating up to the 19th century. “It’s a bonbonnière, a little chocolate box of fair”, Nynke van der Ven of Vanderven Oriental Art says, comparing the dainty New York edition to the vast 260 stands at Maastricht. Despite the smaller size, dealers find it worthwhile coming here since many American institutions have cut their travel budgets. While a number of sales took place on opening day, the urgency of Maastricht is generally missing here in New York, according to many dealers. Nonetheless, shortly after the doors swung open on Friday, a client snapped up the extremely rare and important Galatea Salt by 17th-century silversmith Adam van Vianen at A. Aardewerk of the Hague. The small vessel was chased from a single sheet of silver and has been handed down in the prominent Rothschild banking family of England since the 19th century. “No other silversmith has achieved this level of craftmanship,” says Emiel Aardewerk, a fourth-generation dealer of Dutch silver. At Rob Smeets of Geneva, Jacopo Tintoretto’s important full-length portrait of Cardinal Antonio da Mula, one of the most prominent figures in 16th-century Italy, sold quickly to a private collector. “People are looking for the unusual, not the orthodox Old Master picture”, the gallery’s chairman Paul Smeets says, who is also new chair of paintings of Tefaf Maastricht. Old Masters dominate the offerings of ten new exhibitors. Giacometti Old Master Paintings of Rome introduces the niche of baroque Napoletan paintings, rarely seen this side of the Atlantic. 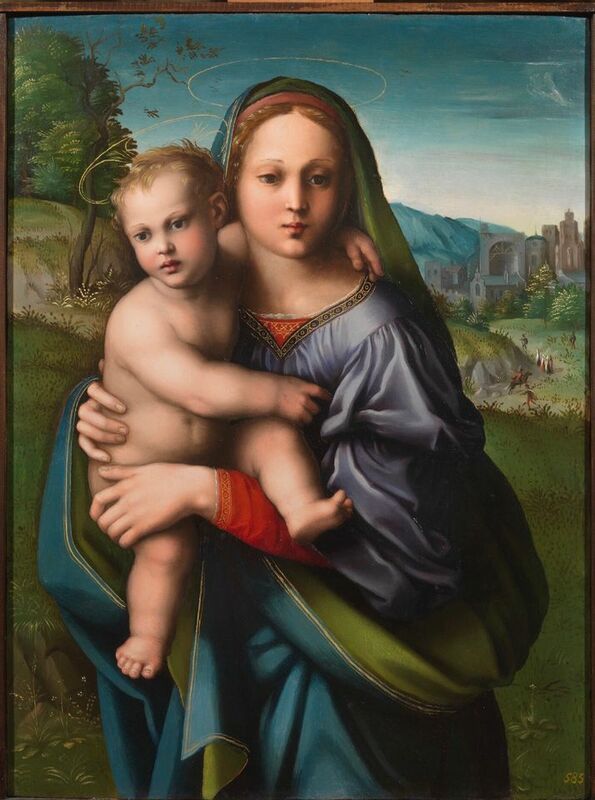 Frascione Arte of Florence shows local Renaissance paintings, anchored by the sweet Madonna and Child dating to1510-20 ($900,000). Evidently influenced by Raphael, the work was recently re-attributed to the Master of the Scandicci Lamentation and was handed down in the Barberini-family. Another first-timer, Wildenstein & Co. shows mostly French paintings among which shines the large Dream of St. Joseph (around 1655), newly attributed to Charles Le Brun and selling for $5m. Occasionally much younger works snuck in. Nowhere more prominent than at Axel Vervoordt of Antwerp, where a domestically sized bottle-top installation titled Reconstitution (2016) by the sought-after contemporary Ghanaian sculptor El Anatsui provided an eye-catching, shimmering display ($1.3m). Among the gallery’s antique objects were popular Egyptian alabaster jars, which according to the dealer appeal to collectors of contemporary art thanks to their abstract qualities. A somewhat local flavour is provided by three dealers in American art, among them Bruce Kapson of Los Angeles, who specialises in photographs by Edward S. Curtis and devoted his period room to 21 original copper photogravure printing plates from the photographer's vast, early 20th-century North American Indian Project, with some asking prices reaching six figures. 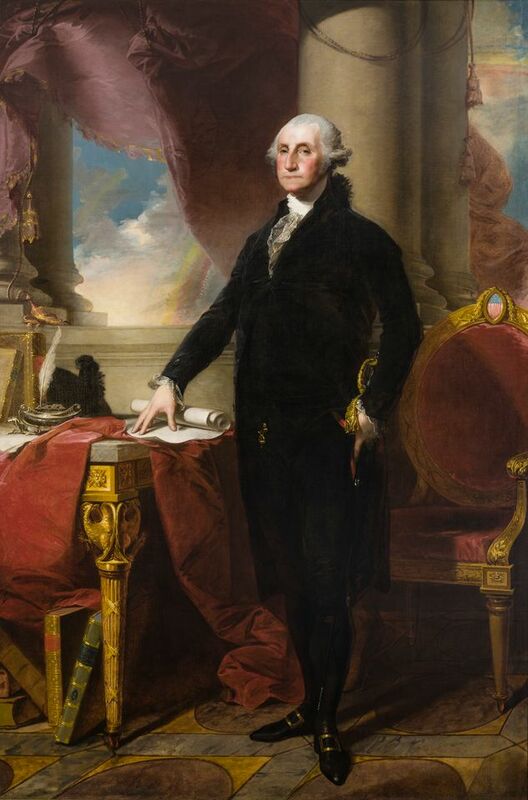 “People don’t expect to see American art here”, says Hirschl & Adler’s director Eric Baumgartner, who offered Gilbert Stuart’s seminal full-length portrait of George Washington (1800), known as the Munro-Lenox type after two 19th-century owners. The painting was part of the controversial deaccessioning by the New York Public Library in 2005, but failed to sell at Sotheby’s that same year with an estimate of $6m-$8m. Some may recognise pieces on display that were recently shown at Frieze Masters in London earlier this month, but many gems were fresh to the market. Among them two early delicate pencil drawings by important German painters in the Romantic style, Franz Horny and Julius Schnorr von Carolsfeld. “Those drawings are so rare, they never appear on the market”, says Diek Groenewald, Daxer & Marschall’s associate director in Munich, though each sheet can be had for under $228,000. A wonderful surprise awaits the visitor at Colnaghi’s booth, a Maastricht regular. The Old Master expert shows for the first time museum worthy pre-Columbian objects, anchored by an unusually fine and large Mayan urn with lid from southern Guatemala (650-850 AD), depicting the grimacing head of the sun god ($525,000). The reach into ancient art is thanks to the former Metropolitan Museum of Art’s antiquities curator Carlo Picòn, who joined the firm last year and wants to take advantage of a generational change. According to an employee of the gallery, “it’s a field that has been lagging behind. We are pushing to generate interest in a younger audience. Also, price-wise it is quite affordable compared to other sectors of the market”. 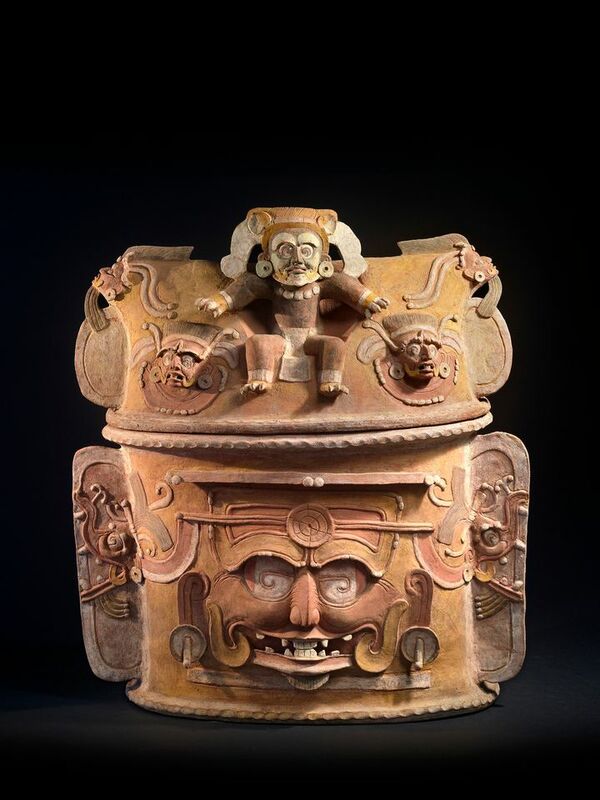 A rare, large Mayan urn with lid from southern Guatemala (650-850 AD) is offered by Colnaghi for $525,000.